Delirious (2007) – The media celebrity system behaves like a parasite that needs to be fed from both the audience (or the fans) that are interested in reading about their favourite celebrities or any celebrities at all, plus the paparazzi that do all the candid photographing. Certain celebs and paparazzi are so intertwined that one depends from the other and vice versa. Andy Warhol once said everyone would have 5 minutes of fame, and there was never instant fame without the help of a camera lence, ilegal or not. Directed by Tom DiCillo, Delirious is a satirical comedy that intends to be a little dramatic in its edges. It’s never too dark and it’s never too realistic, as some of the characters are caricatural (the characters, not the actors’ performances), however, I understood this was a movie that didn’t intend to go further in the discussion it starts. 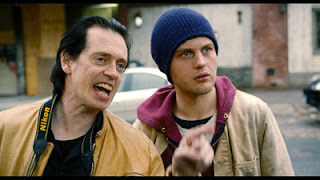 The best in Delirious is the acting, as all the cast delivers genuine performances, especially Steve Buscemi, who plays Les, a paparazzi who dreams of shooting the next tabloid cover that will give him “respect”. 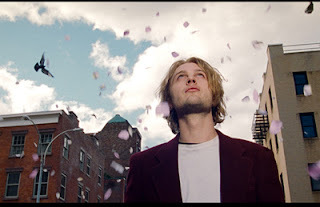 Les finds a street kid, the innocent looking Toby (Michael Pitt), who gets to live in Les’ grubby apartment while working for free as Les’ assistant. Les will teach him how to enter in celebrities parties he wasn’t invited for, among other things of the sort, and as the clueless boy intends to become an actor, Les is willing to help him. In the meanwhile, Toby has a crush on the hot popstar of the moment, the singer K’Harma (Alison Lohman, in a less trash version of Christina Aguilera in her Dirrty times), and as they coincidently meet in very different ocasions, they end up “hooking up”. Delirious finale is not hard to figure out, and its trailer tells quite some part of the story, however, all of this doesn’t end up rotten, as for a comedy it truly makes the audience laugh (at least me and the others in the little art cinema last weekend..). Besides the three major characters, there’s still the missing Gina Gershon (!) playing a casting director who seduces Toby and gives him a role in a reality-fiction (!) TV show. As for the technical filmmaking aspects, the cinematography and editing in the movie’s first minutes are a true eye-catching, showing Toby’s survival as a homeless kid from day to night in NY City. P.S. : After the film credits are rolled, there’s an extra scene that tells a little else about Les’ destiny.